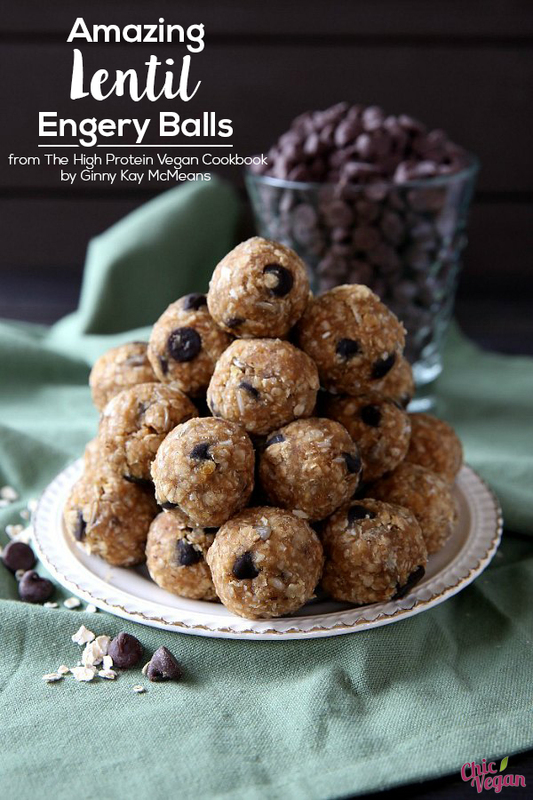 These Amazing Lentil Energy Balls from The High Protein Vegan Cookbook by Ginny Kay McMeans are sweet rather than savory, and they’re the perfect afternoon snack! If you’ve been vegan for longer than ten seconds, you’ve encountered the pesky protein question. For some reason, most of us grow up thinking that protein only comes from meat. Of course, that couldn’t be further from the truth, as protein can be found in great abundance in the beans, grains, and yes, vegetables. 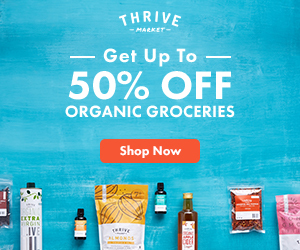 In her new book The High Protein Vegan Cookbook, Ginny Kay McMeans not only explains a where vegans get their protein, she also explains how to build muscle, how to lose weight, and what the best foods to eat to achieve a strong, healthy body. Ginny dispels protein myths, and clarifies how much of it we actually need – which isn’t as much as most people think! 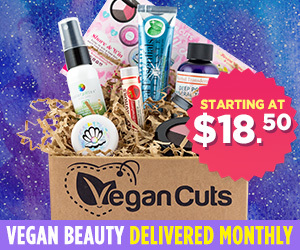 She gives the lowdown on tofu, tempeh, and seitan, too. She’s also included a handy chart with common foods and how much protein a serving size contains. And of course, there are recipes. 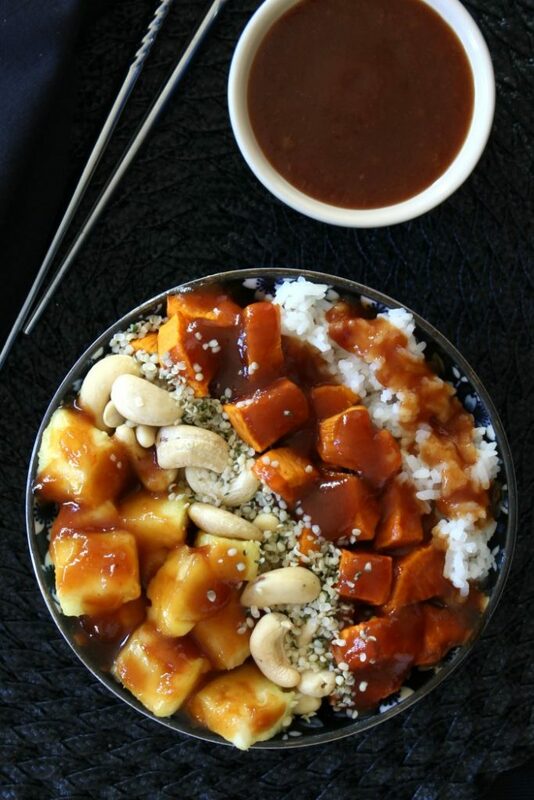 The High Protein Vegan Cookbook contains 125 mouthwatering recipes for high-protein meals. These dishes will take you from breakfast all the way through to dinner, with snacks, appetizers, salads, soups, and sandwiches included. 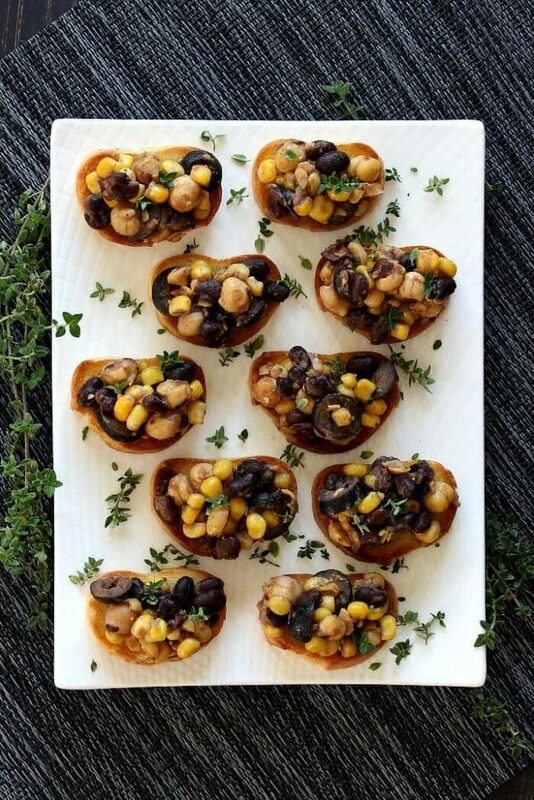 You’ll find such scrumptious recipes as Black Bean Tempeh Nachos with Cashew Cheese, Southwest Scramble Breakfast Burrito, Portobello Mushroom Gyro, and Slow Cooker Seitan Bourguignon. 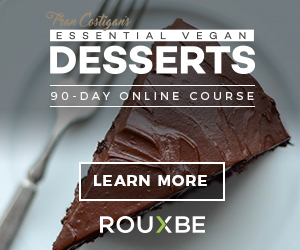 These recipes are all made with whole-food ingredients that can easily be found in just about any grocery store. 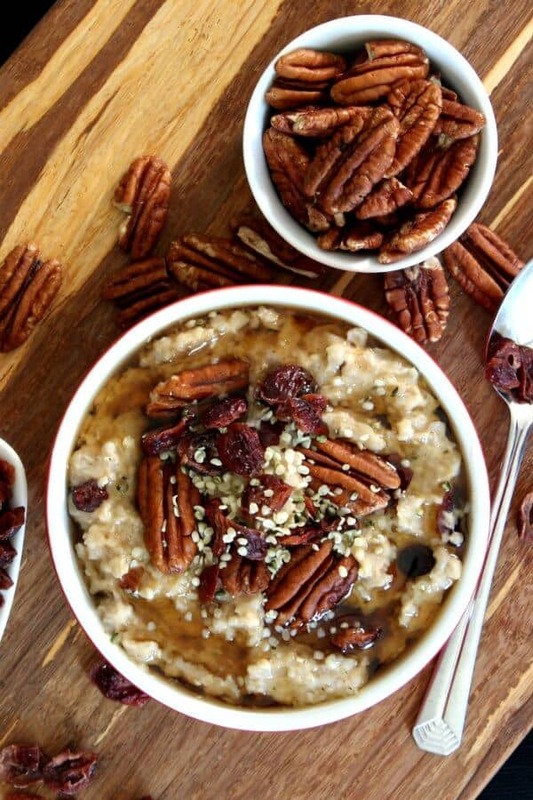 There isn’t a speck of protein powder in sight! Ginny has also included a chapter dedicated to making seitan, and it’s much easier to do than you might think. In no time at all, you’ll be cooking up Slow Cooker Maple Breakfast links, Steamed Seitan Smoky Nuggets, and Pressure Cooker Thai Nuggets. 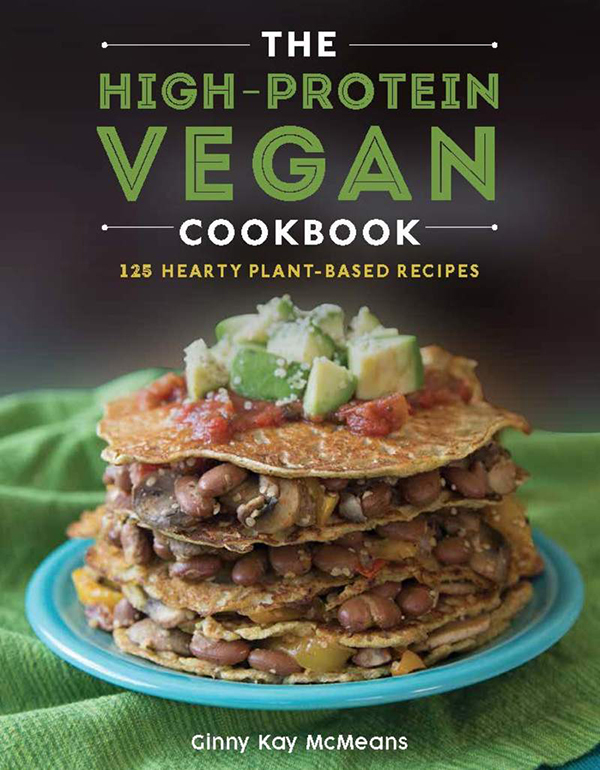 Whether you’re a new vegan and want to make sure you’re getting enough nutrients in your diet or you’re a seasoned vegan looking for some new recipes to add to your collection, The High Protein Vegan Cookbook is for you! What?! 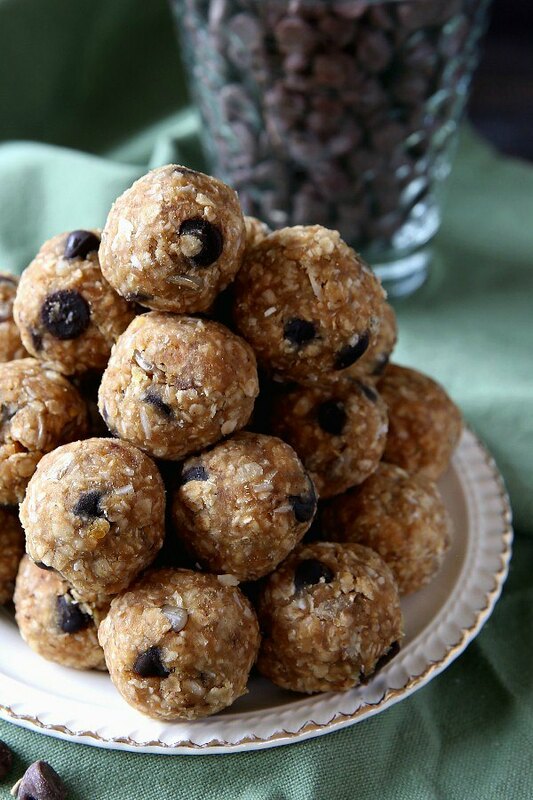 Lentil balls as a sweet protein snack, you say? Yes, it’s possible. 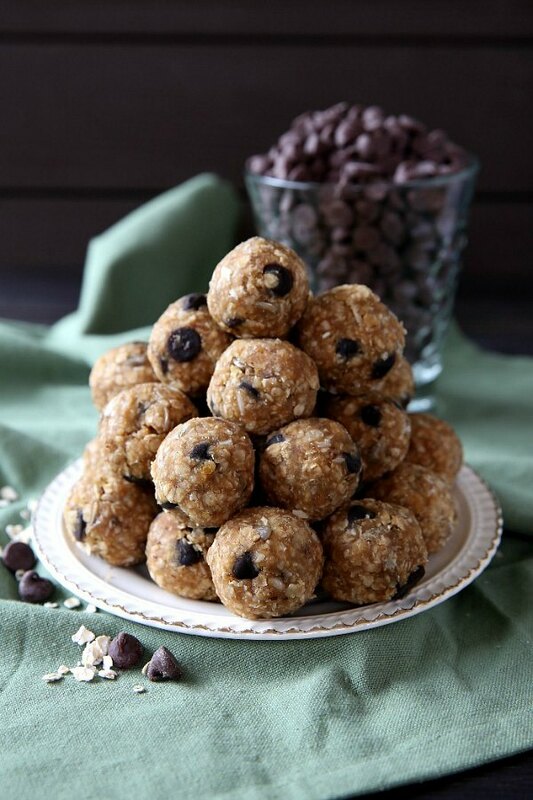 They’re sweetened just right—try them once and you’ll be craving them forever. No kidding! water should be absorbed. Set aside to cool. place in a glass container with a lid. 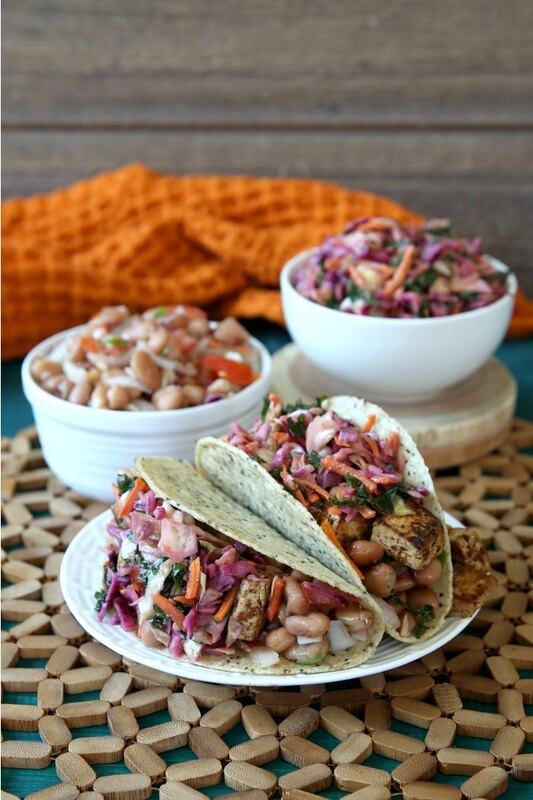 Recipe from The High Protein Vegan Cookbook by Ginny Kay McMeans. Reprinted with permission. 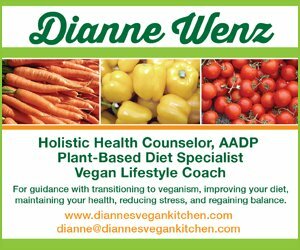 Review reprinted from Dianne’s Vegan Kitchen with permission. Yum and thank you! 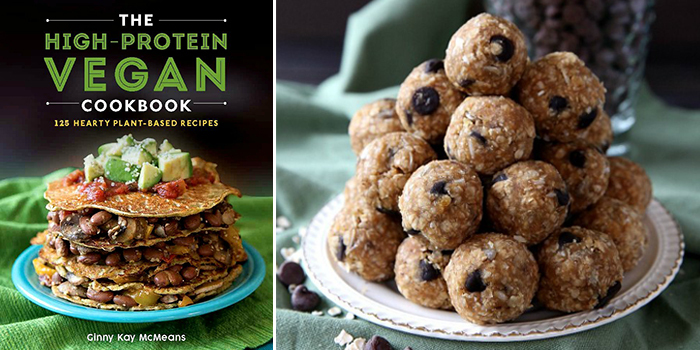 What a beautiful job on showcasing The High Protein Vegan Cookbook. Thanks too for the reminder that I want to make all of these recipes again very soon. 😀 You’re the best!